Dandruff is a completely natural process and is mostly associated with scalp and hair on the head. Did you know some people can also experience eyebrow dandruff? Yes, the truth is that dandruff can be experienced wherever there is hair on the human body even on the eyebrow. What is dandruff? Dandruff is nothing but the process of shedding off dead skin cells especially from the scalp. When a skin cell dies, flaking becomes normal but too much of flaking leads to a chronic condition known as dandruff. Dandruff is considered as a scalp disorder with the most common symptom being itching followed by redness or irritation. Dandruff can occur in any season but its severity can be experienced during the winters. Eyebrow dandruff is similar to scalp dandruff except for the fact that it leads to less oily and smaller flakes. Yes. Eyebrow dandruff is as much a natural condition as is scalp dandruff. All dandruffs are itchy! The reality is that the first symptom that most people will experience when dandruff is caused is itchiness. Does eyebrow dandruff causes hair loss? Normally, eyebrow dandruff is not a condition that people should be worried about but in rare cases, it can turn into chronic eyebrow dandruff. This happens mostly when the initial symptoms are not attended to. The chronic eyebrow dandruff condition can lead to eyebrow hair loss apart from inflammation in and around the eyes. Cause#1: The cause is the same as scalp dandruff, which is Seborrheic dermatitis. The eye area especially the eyebrow is a place where oil accumulates frequently and this leads to an inflammatory skin condition that is marked by itching, redness of the skin, and flakes. Soborrheic dermatitis mostly affects people who do not shampoo their hair often enough. Cause#2: There is another condition responsible for causing eyebrow dandruff and it is known as facial psoriasis. According to the National Psoriasis Foundation, this is a type of inflammatory skin condition, which also results in itching, redness of skin, and flakes. It also causes scales. Psoriasis is a skin condition that affects almost 7.5 million Americans each year. Cause#3: Eyebrow dandruff can be caused by a specific type of yeast known as malassezia. This is a fungus, which causes eyebrow dandruff only when inflamed. It exists in almost 90% of all adults across the world but adverse affects can rarely be seen. It can lead to dandruff only the immune system is not strong enough. Eyebrow Dandruff due to malassezia is caused when people are exposed to high humidity and if they have oily skin and experience higher degree of sweat then dandruff is bound to happen. This condition is not only prevalent on the eyebrow but also in other parts of the body including face, neck, scalp, and mouth. Cause#4: Eyebrow dandruff can be caused by eczema in rare cases. This condition can be identified through symptoms like redness of skin, itchiness, and inflamed patches. This condition is caused due to an overactive immune system as compared to malssezia and psoriasis, which are caused by underactive immune system. This condition can also persist due to stress laden lifestyle and situations. Cause #5: Last but not the least; the most common cause of eyebrow dandruff is dry skin. People will dry skin experience more flaking as compared to people with normal skin. 1. Chemical or medicinal products: This category of products includes shampoo and conditioners. Most products that can be used for scalp dandruff can also be used for eyebrow dandruff. One of the most popular and effective products in this category is the Nizoral anti-dandruff shampoo. 2. Natural and homemade: Eyebrow dandruff condition can be fought using several nature hair care products, herbal and homemade therapies. Some of the most commonly used ingredients for homemade or nature therapy include essential oils like tea tree and lemon juice. What is the best shampoo for eyebrow dandruff? The Nizoral anti-dandruff shampoo is considered the most effective among all dandruff treatment shampoos. The active ingredient is ketoconazole, which is an anti-fungal medicine. The primary role of the ingredient Ketoconazole is to treat any infection caused by yeast or fungus including eyebrow dandruff caused by overgrowth of the Pityrosporum yeast (Malassezia). What are the best remedies for eyebrow dandruff? Margosa Leaf: One of the best ways to treat eyebrow dandruff is by applying dried and crushed Margosa leaves in and around the eyebrows. They help in reducing itching and also absorb any extra oil. They also help in preventing any infection. Normal scrubbing: Scrubbing of eyebrows using a dry cloth can help in removing all dry and dead skin or flakes. Once, scrubbing is over, using a moisturizer containing Vitamin E to rinse face will prove effective. Moisturizer: Using a moisturizer is an effective method of taking care of eyebrow dandruff issues. Moisturizer should be applied every night on the affected area and washed off the next morning. Warm compress: This type of home remedy works really well. Warm compress should be applied directly to the eyebrows using cotton pad wet in lukewarm salted water. Henna: henna is normally used for hair coloring but works really well for eyebrow dandruff as well. It aids in providing relief from itchiness, redness, and irritation. Camphor: Camphor powder is also known to be highly effective. It needs to be mixed with water to create paste, which needs to be applied to the eyebrows for 30-45 minutes. Application is recommended for twice a week. Anti-fungal creams: There are a variety of herbal, natural, and medicinal anti-fungal creams available and they not only help fight dandruff but provide relief from itchiness as well. Almond Oil: It is a highly effective essential oil that can be massaged on or near the eyebrows every night before going to bed. It not only provides relief from eyebrow dandruff but also helps in revitalizing eyebrows as well as eyelashes. Lemons: It is commonly available and is known to be highly acidic in nature. Application of lemon to the eyebrows will help in removing dandruff and open up the hair pores so that dandruff doesn’t form in the near future. Jojoba oil: This is another type of essential oil that can be used of eyebrow dandruff in people with extremely dry skin. It also helps the skin to regain PH balance. Egg oil: This is considered as one of the most primitive methods for preventing eyebrow dandruff. It was developed by the Chinese and Japanese around the early 12th century. It not only helps in fighting dandruff but also helps increase natural oil in the skin. Vinegar: It is quite easily available and used in most homes for cooking purposes. 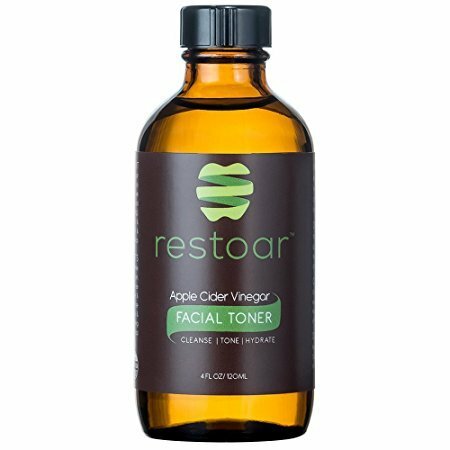 Apple cider vinegar or white vinegar is the most preferred and should be applied directly on the eyebrows. Neem: The leaves of neem tree are considered to be herbal medication and have been used in Ayurveda (Indian Medicine) for centuries. It is a highly effective remedy for eyebrow dandruff. 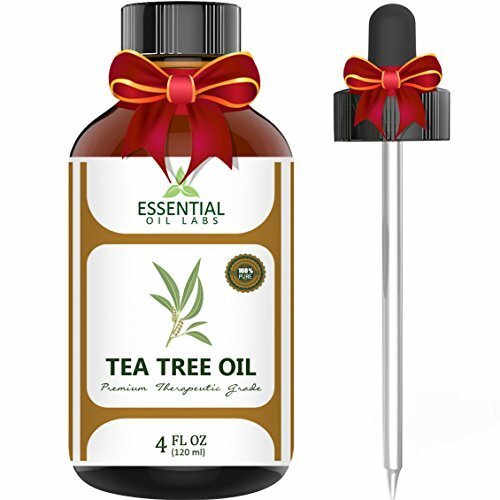 Tea Tree Oil is an essential oil that is used for providing relief from many symptoms including those caused by eyebrow and scalp dandruff. Although, it is important to note that excess use of this oil can become one of the causes for eyebrow dandruff as well. It acts as an anti-fungal. As a result, it helps in killing bacteria that causes over production of the skin cells thus minimizing creation of white flakes or dead cells. It contains terpinen-4-ol, which has anti-fungal properties and it helps in treatment of scalp and eyebrow issues that cause dandruff. It has anti-inflammatory properties and this helps in treatment of itchiness. Apple cider vinegar is also known as ACV and is quite commonly available. It can be used as it is or by mixing with tea tree oil and olive oil. Helps in restoring the alkaline/acidic balance of the scalp as well as eyebrows and helps in maintaining healthy pH balance. Helps in effective opening and cleaning of any clogged pores. Acts as a mild conditioner and helps in reducing the flaking and itchiness. Baby eyebrow dandruff is a medical condition also known as cradle crap or infantile seborrheic dermatitis. The primary symptom is brow or yellow scaling or crusting patches in and around the eyebrows and scalp. The best way to fight it is by gently massaging so that the flakes fall off and then follow it up with baby shampoo and moisturizer. Coconut oil is one of the most easily available and highly effective products that help in fighting scalp and eyebrow dandruff. It is important to choose the right type of coconut oil though. 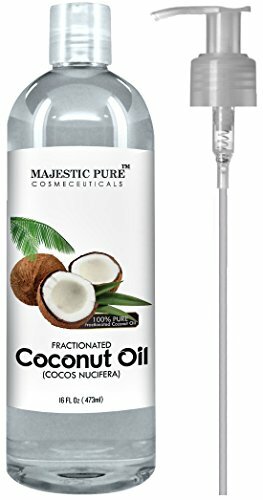 It is recommended to always opt for virgin, unrefined, and organic coconut oil. The regular use of coconut oil will not only help in moisturizing of the skin but also treat dandruff problems or flaky skin issues.